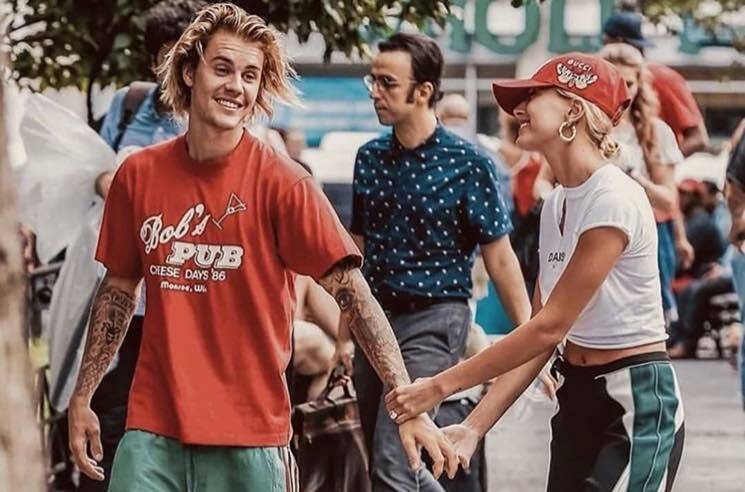 Justin Bieber and Hailey Baldwin were rumoured to have been married earlier this year, and now the young couple have confirmed the news in the most millennial way — via Instagram. Baldwin has officially changed her handle to @HaileyBieber and updated her display name to Hailey Rhode Bieber, though it's not like she's been hiding the massive rock on her left ring finger. The original Biebs himself also confirmed the news, referring to Baldwin as "my wife" in a recent post. Despite not making a formal announcement, the couple didn't deny reports of their nuptials when they visited the Bieber exhibit in his hometown of Stratford in October. Check out proof of the happy newlyweds down below.